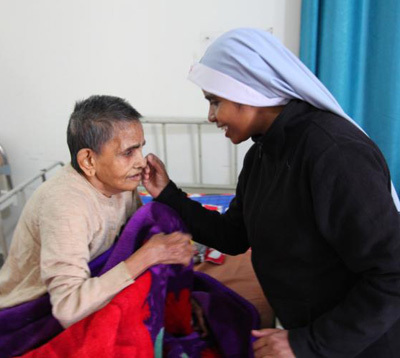 NEW YORK (CNS) — An “invisible” Catholic organization celebrated 90 years of quiet service to the poor in the Middle East, northeast Africa, India and Eastern Europe. Msgr. John E. Kozar, secretary of the Catholic Near East Welfare Association, said the agency maintains a low profile because it works through and with the local church. “They know best how to represent the face of Christ. We trust their experience, holiness and knowledge about how to govern and care for their people,” he said in a Feb 28 interview with Catholic News Service. 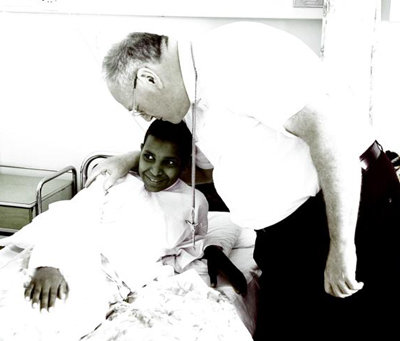 The mission of the organization is to serve and accompany Eastern Catholic churches in pastoral and humanitarian activities, generally at the level of the diocese or eparchy, Msgr. Kozar said. A secondary mission is to share the needs of the Eastern churches with people in North America who may be confused about where Eastern churches fit in the larger Catholic picture. Eastern Catholic churches have their origins in the Middle East, Eastern Europe, India or northeast Africa; have distinctive liturgical and legal systems; and are often identified by the national or ethnic character of their region of origin. Members of the 22 Eastern Catholic churches enjoy the same dignity, rights and obligations as members of the Latin Church. He said Eastern Catholic churches are typically smaller than Latin churches. Many have deep historic roots and are in areas of suffering and religious persecution. Catholic Near East Welfare Association was founded in 1926 in response to a request by Pope Pius XI to unite all American Catholic organizations providing aid to Russia and the Near East. Near East is an imprecise geographic term that encompasses southwest Asia and the Arabian Peninsula. As a papal organization, it has a mandate from the Vatican to support the Eastern Catholic Church. Another mandate of the agency is to work for union among Catholic and non-Catholic Eastern churches, including the Orthodox churches. In recent years, the association spent approximately $22 million annually on assistance in 14 countries. The abiding challenge is with refugees and displaced persons in the Middle East, especially Iraq, Syria, Lebanon and Jordan, Msgr. Kozar said. Access in Syria has been sharply limited because of the ongoing conflict, but the organization is still helping the local churches provide milk, bedding, diapers and antibiotics to their people. “There are heroic priests, sisters and bishops who never left. Some Catholics and other Christians have been hunkered down for more than five years,” he said. Catholic Near East Welfare Association also is active in areas where the church has experienced persecution and retribution, such as Egypt. In one town, the agency funded the repair of a section of a burned-out orphanage so the sisters living there could continue to care for 15 children. The orphanage was one of 55 church properties damaged in anti-Christian violence during 2013. The agency also supports school feeding programs for children in drought-affected parts of the horn of Africa. It serves some of the 1 million families displaced in Ukraine as a result of fighting along the border with Russia. In India, the agency supports evangelization in the remote tribal areas in the northern part of the country. “It’s very uplifting how people have a yearning to have a different experience of God or to experience him for the first time,” said Msgr. Kozar, who has visited the area several times. The two Eastern Catholic churches in India are the Syro-Malabar and Syro-Malankara, which trace their origins to St. Thomas the Apostle. 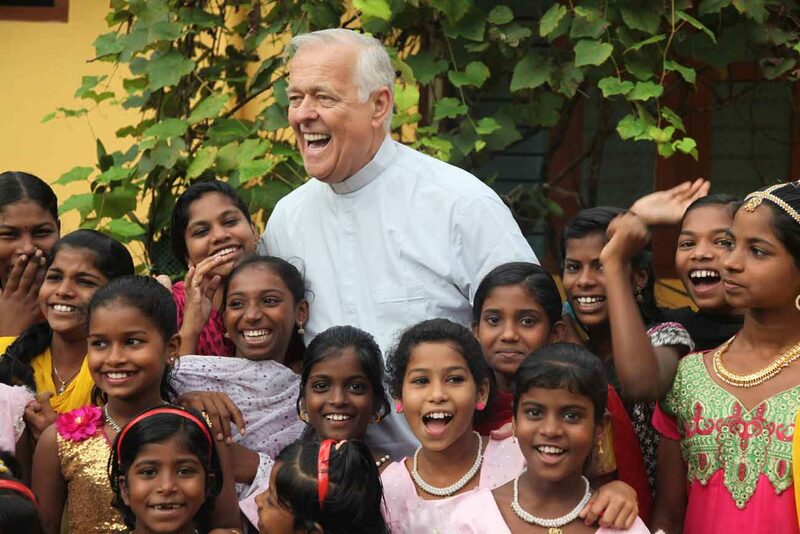 Pope Francis is expected to travel to India this year, possibly in November. Msgr. Kozar said the visit will give hope to the people and encourage them to continue their many good works of charity and service. He said Catholics comprise only 1 percent to 1.5 percent of the population. “The Catholic Church contributes tremendously to the education environment, medical care and social services, disproportionate to our numbers,” he said. Catholic Near East Welfare Association works to empower Eastern Catholic churches through education and formation of religious, clergy and communities, according to Michael J.L. La Civita, the agency’s communications director. “These are churches rooted in the time of Jesus and the apostles, and filled with men and women doing great things,” he said. Instead of falling into despair because of extraordinary challenges in the current day, “they are motivated by the Gospel to do something to change the situation,” he said. Although the organization’s efforts are “for, through and with” the Eastern Catholic churches, La Civita said humanitarian aid is provided to all as a witness to the Gospel. “This requires us to be in dialogue of other communities of faith,” he said. La Civita said the agency’s accompaniment extends to Orthodox and other Christian and non-Christian traditions. It also participates in national and local Catholic dialogues with Muslims, Jews and Orthodox. As archbishop of New York, Cardinal Timothy M. Dolan serves as the agency’s chairman. “In this role I have visited a number of Eastern churches in some very challenging areas of the world,” he said in response to a question from CNS.